Major Crimes has added to its cast for season six. James Martinez, who has appeared on House of Cards, will recur on the drama. He joins Mary McDonnell, Tony Denison, Michael Paul Chan, Phillip P. Keene and Raymond Cruz. Martinez has also appeared on One Day at a Time on Netflix. That series has been renewed for a second season. 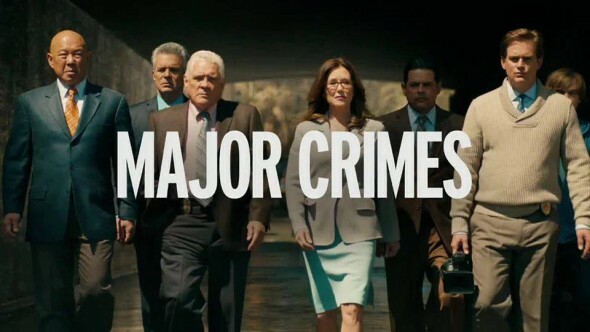 Are you a fan of Major Crimes? Tell us what you think. I lo ve this show. Watched the first series with Kyra Sedgwick and thought I would not like the second series. Have watched and come to really look forward to the double treat I get every Saturday night with two episodes in a row. Love how much Mary follows her moral character and never gives in to “everybody” is doing it. So rare in todays’ tv shows. This is the only show I watch on tv. It is worth saving, in my opinion. My favorite show! The chemistry between these characters is the best I have ever seen. May they always be a team! GREAT SHOW!!! When is it coming back!